bought used Washburn M3SWK mandolin - when was it built? I just purchased my first mandolin. It is a used M3SWK model with a serial number of DC07060016. I love it. The owner's son sold it to me and he figured his father bought it new about 2-3 years ago. Does this serial number mean it was built in 2007 June? 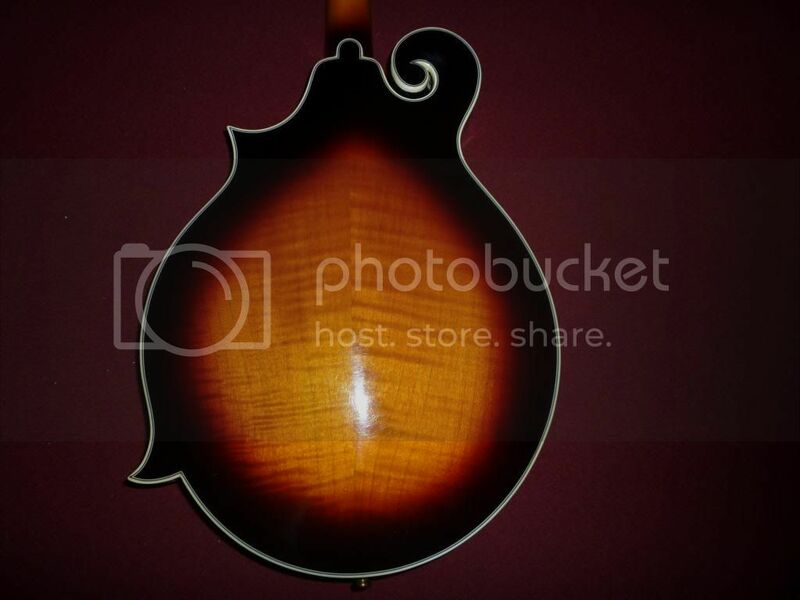 Re: bought used Washburn M3SWK mandolin - when was it built? Welcome yes and yes in China. On 8 digit it is USUALLY the first two numbers. And the C would be China. So is yours Solid top Walnut with case? Or is it Solid Wood with case? Do you know? Tom. From what I have read it is all solid woods with a solid carved spruce top and maple back. And yes a hard shaped case but I can't see any branding on the case. M3SWK = M = Mandolin SW= Solid Wood, K = case.... #3 must be model level. Tom. P.S. would you be able to post a pic of your Mando up close of the Maple? If you need I will copy the link how to , to here. I found a Made In Canada tag inside the case so this case is not from Washburn. Yes I will be able to post a picture but not till Monday as my daughter just borrowed my digital camera today so she can take pictures tomorrow night at the Justin Bieber concert in Toronto. When I get it back I will take a picture. Thanks. Cool, Is it Quilted Maple? either way I bet it is good looking. Tom. I took the picture. I think I need the link on how to post it here. The literature I read says it is solid figured maple. Sorry. I can't make any sense out of the instructions for uplaoding a photo. Am I supposed to first go to www.photobucket.com. If so, it requires and ID. Now that is real nice. Looks like even the back has multielam binding on it. I thinking of A mando, like this years looks. Tom. Thanks. I put on a new set of strings, lowered the bridge and moved the bridge to correct the intonation. I am very pleased with how it plays and sounds.